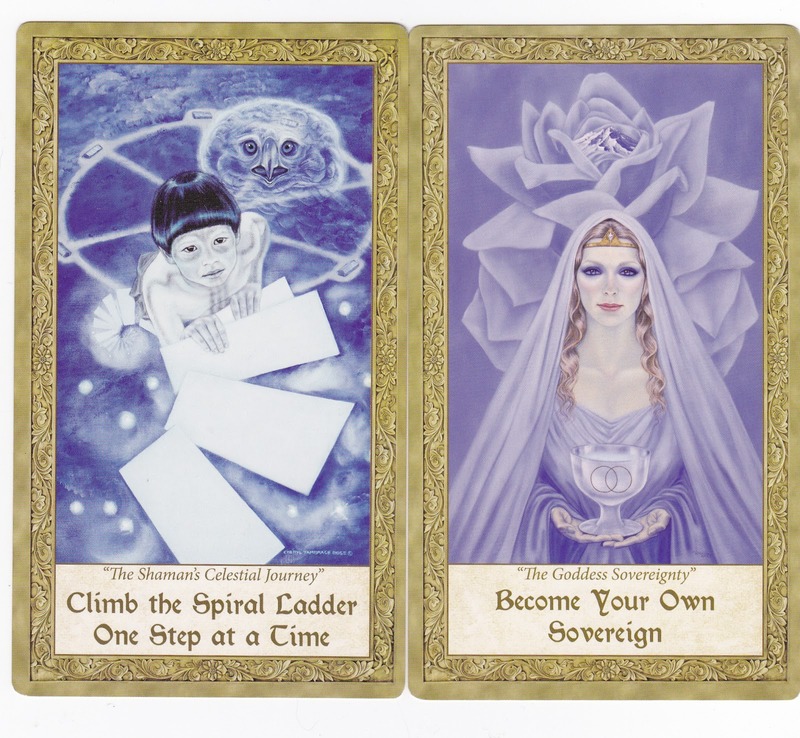 Art Through the Eyes of the Soul Oracle, by Cheryl Yambrach Rose and distributed by US Games, is a wonderful deck for guidance, or catalyst to empower your own thoughts. 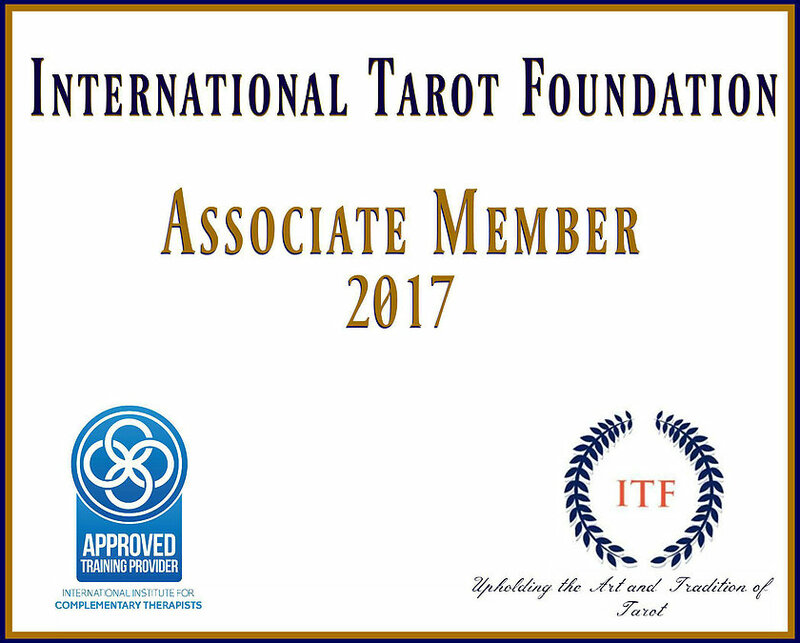 Cheryl, a portrait painter, visionary artist and researcher has created a beautiful deck incorporating mythology, art history and her own psychic impressions woven together to form a truly unique oracle that is wonderful to work with. This 52 card deck is slightly oversize at 3 1/2″ x 6″ and has a nice glossy lamination that really shows off Cheryl’s wonderful artwork. Shuffling from the side or placing the cards on a flat surface and mixing them up thoroughly is the best way to shuffle or mix these cards up. The backs are non reversible but feature a beautiful painting of a waterfall and maiden peeking from behind the rocks, all done in breathtaking blues and greens. 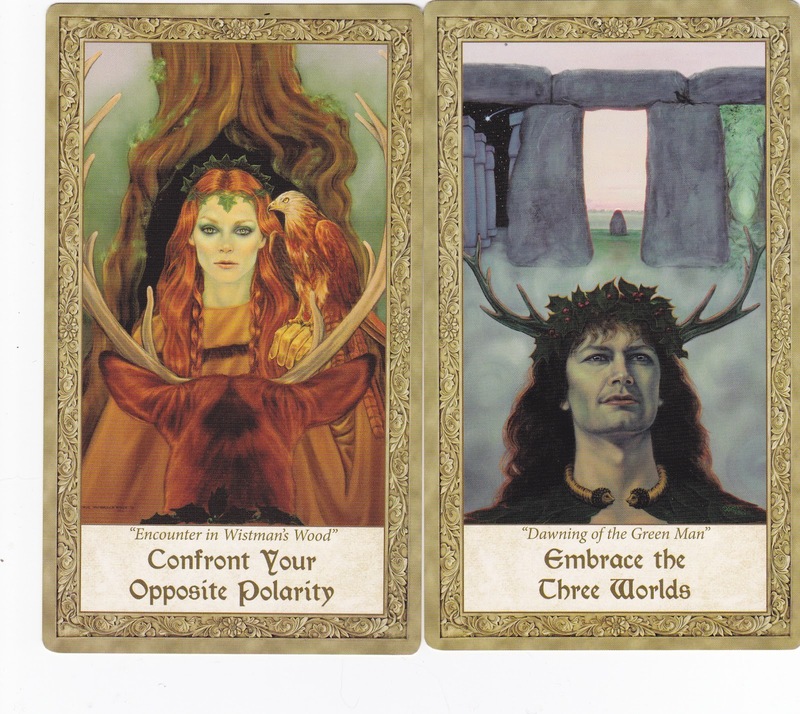 What struck me while going through the deck was Cheryl’s use of color and lifelike portraits that really draw you in and resonate with the keywords that are printed just below each image. The colors include deep blues, lush greens and breathtaking reds and lavenders. I love the characters eyes which seem so lifelike and almost follow you as you move. This is exactly how Cheryl “tunes into a subject” to receive her psychic impression. They are bordered with a lovely golden leaf design and the edges are gilded which adds to the majestic feel of this oracle. 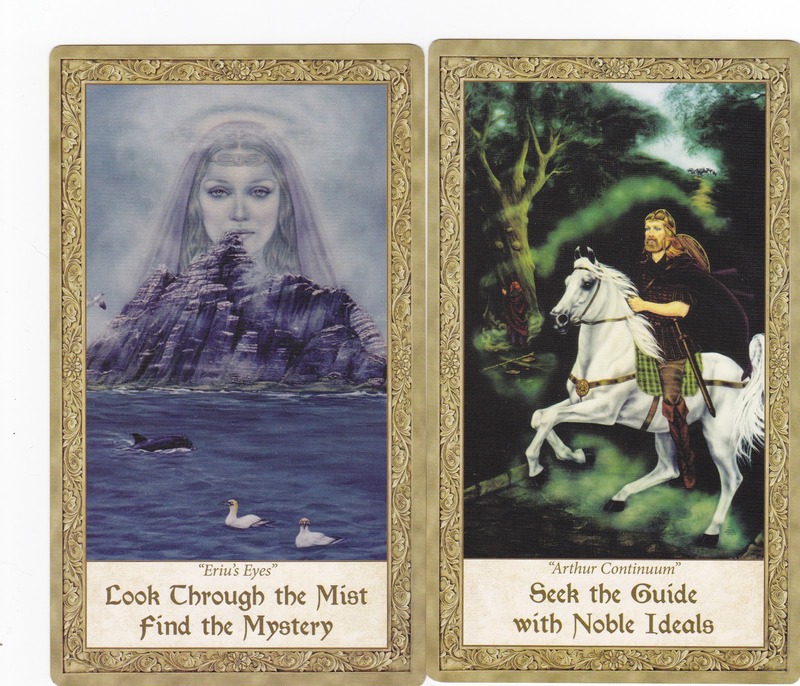 The companion book gives the meanings of each card and an expanded interpretation of the keywords found on each card. Many of the paintings are featured in Cheryl’s book, “Art Through the Eyes of the Soul” The book covers the four mythic lands in which she lives and paints…Narnia, Avalon, Bohemia and Lemuria. 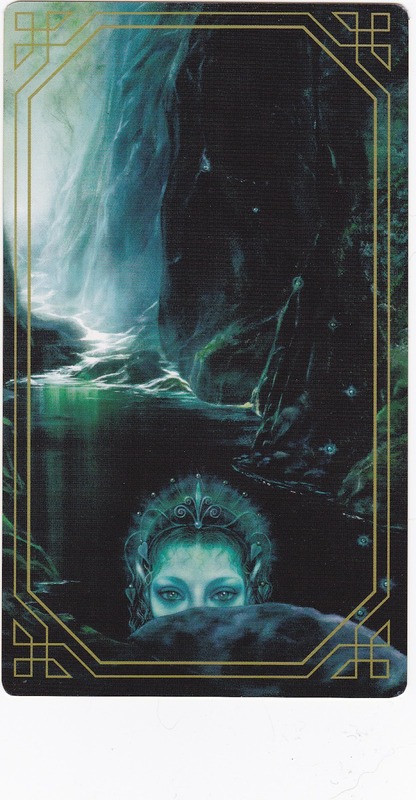 This is a gorgeous Oracle deck and one worthy of anyone’s collection, it is an amazing tool when used with meditation and personal readings. I found it to be quite accurate and very straight to the point and I had a wonderful time working with it!